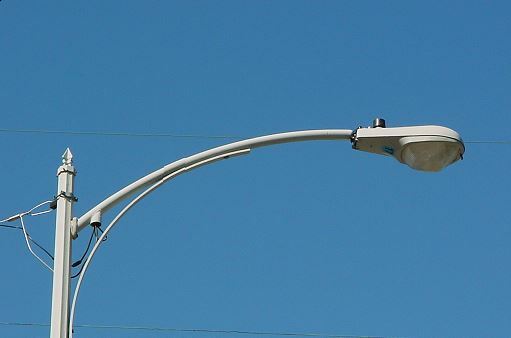 Beginning in early October, nearly 2200 streetlight fixtures throughout the city of Kettering will be replaced. New LED streetlight fixtures will replace outdated mercury vapor and high pressure sodium lighting fixtures. The biggest change residents will notice is that the new LED lights provide a true-to-color, consistent white light whereas the existing streetlight fixtures cast an orange colored light that can vary in intensity. The LED fixtures have many benefits including increased energy efficiency, improved nighttime visibility and safety, reduced glare and reduced maintenance costs. Most of the City’s street lighting system is owned and maintained by the Miami Valley Lighting, LLC, a subsidiary of DPL, Inc. The City contracts with Miami Valley Lighting and pays for this system on a per light basis. The City also owns lights and/or poles in many different areas of the City, contracting with private companies for maintenance and paying for the maintenance on a per light basis. Abutting property owners pay for street lighting by assessment. 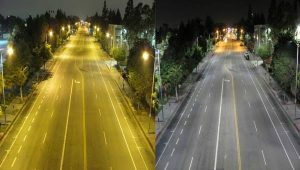 The City pays at least the legally required amount of 2% and pays additional costs for brighter lighting on thoroughfares. Fixed rates of assessments are charged to all lighting districts. Street lighting is updated when thoroughfares are improved. New street lights may be installed upon petitioning from residents. For questions regarding street lighting, call 937-296-2436.